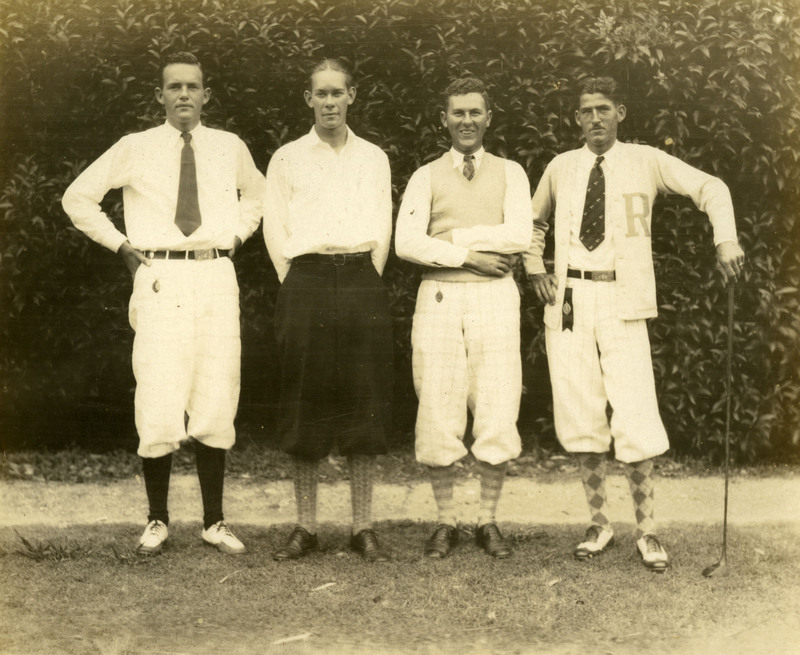 Looks like the Rice team that won the SWC golf titles in 1929 & 1930. And so it is. Interesting looking group, isn’t it? There’s something rattling around in my head that makes me think this image is one of a series taken for the 1930 Campanile. I have to wait until I’m back in Houston to check it out, but I know exactly where the right box is sitting so it should only take a moment.